Boston car accident lawyer Christopher Earley can help if you were injured in a car accident and need legal help. Our office has achieved millions of dollars in settlements for our clients injured in car crashes. Put our services to work for you. A car accident can cause great disruption in one’s life. The accident may leave you confused, and possibly angry at the person who caused the accident. You may have suffered personal injury and you have medical bills, and possibly lost time from work, following the accident accident. Insurance companies are contacting you and sending you paperwork to complete. You may find yourself stressed out and unsure what you are supposed to do next. We are Boston motor vehicle accident lawyers that help you sort all these issues out, and we make sure all paperwork is properly completed. We also relentlessly pursue maximum compensation for our clients by making insurance companies pay our clients what is fair and just. At our law firm, we guide you through the car accident claim process. Our mission is simple: to get for you the best possible outcome for your case. We have successfully handled hundreds of Massachusetts car accident cases through the years, and we can help you with your case too. We are personal injury attorneys that treat the routine fender-bender the same as the accident that results in catastrophic injuries: relentless dedication to achieving the best possible result for every client we serve. We help people that were injured in car accidents due to negligence. Call us today for your free, no-obligation consultation if you need a lawyer for your car crash claim. 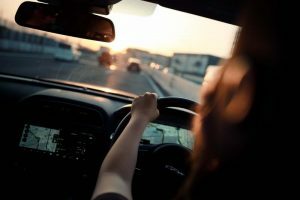 If the car crash in Massachusetts was a relatively minor one, with light property damage to the vehicles and there were no injuries sustained, then a car accident lawyer is likely not needed. But, if you were injured in the accident then you will need a lawyer that handles motor vehicle accident claims. We only get paid if we get you a financial settlement. My office charges the standard 33 1/3 % as a legal fee. That is called a contingency fee. If we don’t win your case, we don’t get paid, simple as that. You owe us nothing if we don’t get you pain and suffering damages for your case. This depends on a number of factors. Were you injured? Is someone responsible for your injury? Is there insurance? Has the statute of limitations passed? Basically, this question does not have a standard response, but rather is dependent on a number of factors. We would be happy to give you a free, no-obligation consultation to see if you have a case that is worth pursuing. As your Boston car accident attorney, we will give you an honest assessment of your case. Probably not. Most cases do settle prior to trial. However, there is always a chance that your case can go to trial if the sides cannot settle the case. The odds of your case going to trial are small. Our office brings cases to trial when necessary. If I refuse ambulance transport does that mean I do not have a case? However, if you were injured, it is beneficial to receive prompt medical attention to properly address your injuries. What if I delayed in getting medical treatment? That does not mean you don’t have a case. Sometimes injuries are mild at first only to worsen over time. As long as the delay in receiving treatment is reasonable, you may still pursue a claim for pain and suffering compensation. Our office provides guaranteed FREE consultations. Do I have to give the insurance company for the driver who hit me a recorded statement? No, you don’t have to. In fact, it is always a bad idea because whatever you say will be manipulated by the insurance company to maximize their chances of paying you as little as possible for your injuries. By giving a recorded statement, you are playing into the hand of the insurance company. Can I make a claim even if I was not wearing a seat belt? Yes. It does not matter if you were not wearing a seatbelt at the time of your auto accident. Your car insurance company, in order to limit the medical bills they pay on your behalf, will require you to attend a medical exam with their doctor. If you fail to attend this exam, they can refuse to pay your medical bills. What does a car crash lawyer do for me? Your lawyer is your advocate against the insurance company. Responsibilities include determining liability, investigating all available insurance coverages, making sure PIP benefits are paid, negotiating with insurance adjusters and lawyers, litigating the claim, and if necessary, trying the case in front a jury. How do I find a car accident lawyer near me? Hire us. We handle cases throughout the entire state of Massachusetts and will travel to you if that is easier for you. That depends on a few different factors. Is the other party 100% at fault, or are you partially at fault for the accident? What type of injuries did you sustain? Are any of the injuries permanent? How much were your medical bills? Did you sustain any lost wages? Those are some, but not all, of the factors that determine a settlement value for a Massachusetts car accident case. No. You owe no state of federal taxes on a car accident settlement in Massachusetts. Medical Bills – Whether you were driving your car, or riding as a passenger in someone else’s car, the insurance company for the vehicle you were in pays up to $8000 of your medical bills. Lost Wages (past and future) – The car insurance company for the car you were in must also pay 75% of wages you lost as a result of the accident. This number is based on your gross wages. Pain and Suffering – The car insurance company for the at-fault driver is responsible to pay for any physical or emotional damages you suffered in the crash. Scarring and Disfigurement – We also seek compensation for any permanent scarring, disfigurement, or loss of function the accident caused. How Can A Boston Car Accident Lawyer Help Me? It is important to safeguard your rights with the assistance of an experienced Boston auto accident lawyer. Our office can help guide you through the Massachusetts car insurance claims process effectively so as to maximize your recovery. We will take care of all issues related to your case so that you can solely focus on getting better. You get personal representation from start to finish at our office. That means we will always return your phone calls. Also, we will keep you updated on the status of your case, and will work tirelessly so as to maximize your settlement. We are highly experienced with car accident claims and litigation. We understand how car insurance companies negotiate auto accident claims. We are well-versed and experienced with their tactics, and we know how to obtain fair settlements for our clients. Insurance companies frequently try to low-ball, or deny, claims made by car accident victims. At our law firm, we believe in pushing back against insurance companies and never settling a case for less than fair value. If we receive a unfair denial, or offer that is unreasonable, we will file your case in court to start the litigation process. Our office only files a lawsuit with client consent. We are lawyers that try car crash claims in front of juries when necessary. How Do I Choose The Right Auto Accident Lawyer In Boston? There is no shortage of lawyers in Boston. Some of these lawyers also handle car accident claims. But it is important to know that many of these lawyers only dabble in auto accident cases. Many also never step into court and actually try these cases. At our office we are dedicated exclusively to personal injury cases, and we don’t shy away from trying these cases in court when necessary. Once you hire us we immediately start working on your case. We begin by sending letters of representation to your car insurance company, as well as to the insurance company for the at-fault driver. We thoroughly investigate how the accident happened in order to establish the liability of the responsible party. We then collect the police report (if there is one), secure witness statements, coordinate your medical treatment, and collect photographs of the accident scene, as well as photos of your injuries. Once your medical treatment has ended and we have all of your medical records, medical bills, proof of lost wages, and documents to support your damages, a settlement demand package will be sent to the bodily injury insurance company. We generally give the insurance company thirty days from the time they receive the demand package to extend an offer. Ideally, a settlement will be reached and your case will conclude. The majority of Massachusetts car accident cases do settle at the claims stage. Once the case settles, you need to sign a release which closes out the case. This document is provided by the insurance company that is paying you your settlement. Your settlement check will then be sent to your attorney’s office. Please note that, with very limited exceptions, Massachusetts car accident case settlements are not taxable under state or federal law. What If The Insurance Company Is Offering Me A Low Settlement? Low-ball car accident settlement offers happen all the time when Massachusetts car accident victims don’t have representation. Keep in mind insurance companies love when injury claimants don’t have attorneys. It makes their ultimate responsibility of minimizing your case that much easier. They constantly discourage people from getting representation. They do that because they know they will have to pay you a higher settlement if you have a car attorney on your side. Hire a Massachusetts car accident lawyer so that the insurance company can’t take advantage of you. Insurance adjusters are trained and very experienced with negotiating claims, and this puts you at a decided disadvantage. They also know what your case is truly worth, and they will never offer you a fair and reasonable settlement if you don’t have an attorney. The reason is that in order to get a fair settlement, pressure has to be on the adjuster to make a fair offer. The only way to apply the necessary pressure is by having an experienced and qualified car accident attorney in Boston advocating on your behalf. By hiring an attorney, you are leveling the playing the field. You are also signaling to the adjuster that you are serious about pursuing, and obtaining, full and fair compensation for your Massachusetts car crash accident case. If you are receiving a low settlement offer, we can help hold the insurance company accountable by fighting for a reasonable settlement offer for your case. Rear-end Accidents – These are the most common type of Massachusetts car accident. They arise from inattention and/or distraction. Intersection Accidents – These car accidents typically arise from failure to stop at a red light, or stop sign. Frequently these accidents involve the parties blaming the other for causing the accident. Pedestrian Accidents – We represents injured pedestrians negligently struck by motor vehicles. Rideshare Accidents – Uber and Lyft ridership is exploding which means greater risk of these accidents. These accidents are common because Uber and Lyft drivers commonly drive in areas they are unfamiliar with. Work-Related Car Accidents – Car accidents that happen on-the-job potentially give rise to both workers compensation and negligence claims. That means two claims arise from the same work accident. Motorcycle Accidents – Motorcycle accidents can cause very serious injuries given how exposed motorcyclists are. Truck Accidents – Due to their size, trucks cause very serious injuries when they are negligently operated. Sadly, these accidents frequently cause fatalities. Construction site car accidents can happen in a variety of different ways. MBTA Car Accidents – These accidents are common given the high number of MBTA vehicles on the road. Hit and Run Accidents – These car accidents trigger uninsured motorist coverage. Taxi Accidents – Unfortunately taxi operators get into many accidents (based on the volume of cabs on the road and number of hours they drive) and very often do not have enough insurance coverage. Boston commonly sees many taxi accidents per year. Pedestrian Accidents – These accidents commonly occur in crosswalks, but can also happen anywhere. The injuries tend to be serious as pedestrians are exposed without any protection. Of course, these accidents can also arise from the fault of the pedestrian by darting out into traffic, giving the operator no time to avoid striking the pedestrian. Head-On Colisions – These crashes can cause very serious personal injuries due to the blunt force of impact. Bicycle Accidents – More and more people are riding bicycles which means greater risk of injury. Like pedestrians, they are entirely exposed, and therefore very susceptible to injuries when struck. Underinsured/Uninsured Motorist Claims – Underinsured motorist claims arise when there is insufficient bodily injury auto insurance to cover your injuries. Uninsured motorist coverage applies when there is no insurance or when there is a hit and run. You cannot file a lawsuit in these cases. Rather, they are either settled, or proceed to arbitration for final resolution. Massachusetts is a no-fault auto insurance state. That means regardless of fault, the car insurance company that insures the car you were in at the time of the accident pays your medical bills. The bills have to be reasonable and necessary. You may also have 75% of your lost wages paid under PIP. PIP pays out a maximum of $8,000 in combined medical bills and lost wages. Before any PIP is paid out, a PIP application must be completed and returned to the insurance company. PIP is not the only source for payment of your medical bills following a car accident. If you have private health insurance, then they will pay your medical bills as well. If you have Mass Health, they too may pay some of your medical bills. However, keep in mind that if your health insurance company does pay your medical bills, they will file a lien for reimbursement against your case. A lien means that the health insurer expects to be paid back out of your eventual settlement, for the medical bills they paid on your behalf. The private health insurance company has to strictly follow the law before their lien can be enforced. A lien from Mass Health (Medicaid) on the other hand automatically attaches as a matter of law. Liens from Medicare also arise automatically as a matter of law. These are the bare minimum coverages you must carry. I strongly encourage you to purchase higher insurance coverage because it protects you, and is quite inexpensive to do so. Massachusetts law sets forth what is referred to as modified comparative negligence. This means as long as you are no more than 50% at fault for the car accident, you can still collect damages for pain and suffering. However, the amount you collect will be reduced by the percentage of fault attributed to you for the accident. Comparative negligence applies to all other areas of Massachusetts personal injury law as well. What Are The Steps of a Car Accident Lawsuit? The complaint is what begins the lawsuit. The case will be filed in either District Court or Superior Court. For cases with values at less than $ 25,000, District Court is the proper court. All other matters are filed in Superior Court. Once the complaint is filed, it needs to be served on the person(s) responsible for causing the crash (defendants). Once service is made, the defendant’s attorney will file an Answer in the court where the lawsuit was filed. The discovery phase of the lawsuit then begins. This is a process whereby each side exchanges information with one another. There are interrogatories (fancy legal name for questions) exchanged between the parties, and also requests for production of documents (each side asks the other to produce specific documents). Then, depositions will be taken. A deposition can be had of the parties, as well as any witnesses, or experts. These are in-person examinations held under oath. Sometimes during litigation, the parties may agree to submit the case to mediation or arbitration. Mediation is a voluntary, informal negotiation session assisted by a third-party neutral (a mediator). The result is not binding and either party can leave the negotiation table at any time. Arbitration on the other hand is binding. Like mediation, arbitration is also a voluntary process. Either option may be attractive to the parties in lieu of proceeding to trial. Both mediations and arbitrations are handled by third-party, neutral lawyers. Occasionally, retired judges act as mediators and arbitrators. If a case does not settle during litigation then a trial is necessary. At trial, the parties will present their witnesses as well as their evidence. The lawyers for the parties will present their arguments and the jury will issue a verdict. I am a Boston auto accident lawyer that will try your case in front of a jury if necessary. Who Is At Fault For A Car Crash? If you were injured in a car accident in Massachusetts, fault needs to be established against the negligent party. Typically, in the event the other driver hit you from behind, made an illegal left turn, or ran a red light, then the other driver will be held liable. Regardless of how the crash occurred, as long as you are no more than 50% at-fault, then you may collect pain and suffering damages. The trickier situation is when both drivers point to the other one for being at-fault for the crash. Also, many car insurance claims are disputed by insurance companies on liability grounds. This is why it really pays to have qualified and experienced representation on your side if you believe the accident was not your fault. We analyze all aspects of your case in order to win your case. Massachusetts standards for determining fault for a car accident is laid out in the Code of Massachusetts Regulations. These regulations lay out a variety of scenarios in which fault is assigned for a motor vehicle accident. In Massachusetts you generally have three years to bring a claim for injuries from a car accident. This is a strict deadline called the statute of limitations. There are exceptions to this rule. Cases involving children have different filing deadlines. Also, claims against public entities often have strict written notice, or presentment deadlines, that must be strictly followed, or a case may be dismissed. It is always wise to act quickly if you are considering filing a claim for car accident injuries in Massachusetts. If you are under 18 years of age at the time of the accident, you have until your 21st birthday to file a lawsuit. Why Should I Hire A Lawyer For A Car Accident? It is critical to know that Massachusetts car insurance companies are in the business of making money. That is in large part accomplished by paying as little money as possible in settlements. That is more easily accomplished when you don’t have a lawyer for your car accident case. Our office believes in taking car accident cases to court when necessary. We do this when car insurance companies offer unreasonable settlement offers to our clients. That is why it is essential to have an experienced and qualified Boston car accident lawyer on your side. By doing so, you are telling the insurance company that you are serious about pursuing full and fair financial compensation for your claim. Since personal injury law is our sole focus, that means we handle a great deal of car accident claims each year. We have been doing so successfully since 2005. During this time, we have established ourselves as highly-respected and accomplished Massachusetts car accident lawyers. In fact, we frequently have other lawyers refer their injured clients to our office. Having other lawyers trust us to handle their clients’ car accident claims gives us immense pride and satisfaction. We do not believe in settling a case quickly and then moving to the next case. Rather, we are a results-driven Boston car accident law firm. Each case is handled so as to achieve the best outcome for every client. We believe in pursuing, and obtaining, fair offers for all auto accident cases we take on. After all, if we are not getting for our clients what they are owed, then we are not doing our job. Our successful results achieved through the years demonstrates our unwavering commitment to each client we serve. We welcome the opportunity to evaluate your case and provide to you a straightforward assessment of your claim. Whether you have a case worth pursuing or not, we will be upfront and let you know either way. Contact Boston motor vehicle accident lawyer Christopher Earley today for answers to your questions, even on nights and weekends, and find out more about who we are and how we can help you. Tell us about your car accident and we will give you an honest answer as to whether or not you have a case worth pursuing. Our satisfied car accident clients speak to the high quality of representation we have provided over the years. Read what our past clients say about us, our Yelp reviews, and our five-star Google reviews. Our strong reputation speaks to our commitment to each and every client we serve. We are very proud to consistently receive referrals from past clients that recommend our services to their family and friends. Boston car crash lawyer Christopher Earley can help you. Call today for an immediate, free phone consultation to discuss your case. What Should You Do After A Massachusetts Car Accident? How Much Do Boston Auto Accident Lawyers Charge? Boston car accident lawyer representing people throughout Massachusetts including Cambridge, Somerville, Chelsea, Everett, Malden, Revere, Lynn, Lawrence, Andover, Newton, Quincy, Medford, Plymouth, Worcester, Fall River, Bellingham, Weymouth, Natick, Stoneham, Wakefield, Reading, Wilmington, Burlington, Lynnfield, Saugus, Peabody, Danvers, Middleton, North Andover, North Reading, Woburn, Canton, Stoughton, Randolph, Dedham, Norwood, Mansfield, Taunton, Brockton Suffolk County, Middlesex County, Essex County, Worcester County, Norfolk County, Plymouth County, Bristol County and Barnstable County.